Many brides and grooms give their wedding party special gifts at the rehearsal dinner to thank them for all of their assistance in planning and participating in the big day. It was tradition to give the girls jewelry to wear with their dresses and the boys something related to their hobbies. But why not step outside the box and get your bridal party something they can use on your wedding day and beyond? It is true, you can never go wrong with jewelry, buy why not get creative and go for a fabulous cuff or statement necklace that can also be worn to a day in the office. If you are getting married in the fall or winter, your girls will surely appreciate a cute shrug, shawl or scarf that they can pair with jeans another day. Or, get creative and give them a purse or tote filled with fun items for the big day like lip gloss, a hair pins and perfume. 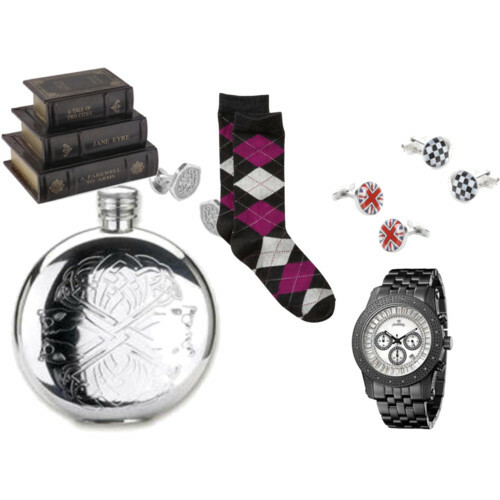 Get the men each a pair of cuff links in a design or pattern that relates to them or a fun pair of argyle socks that express their personality. Go traditional them each an engraved flask and then go the extra mile to fill it with their favorite liquor. If you have a slightly higher budget, you could get each of your men a designer watch to wear on the big day. Or, if you want to give them a gift that they can enjoy all year, get them each a magazine subscription or book that relates to their hobbies and interests. For all your bridesmaids and groomsmen do for you on your big day, it is only appropriate to reward them with something special!